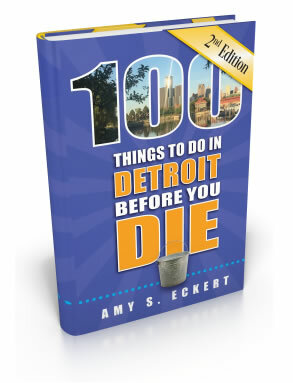 Detroit enjoys a reputation as one of America’s major urban and industrial centers. Yet there is much of the great outdoors in this city—even in the heart of the downtown. 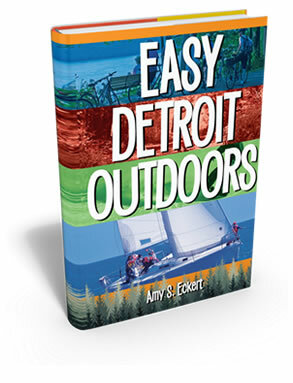 Easy Detroit Outdoors shares the best of The D’s outdoor pursuits. Paddle the historic canals once occupied by Detroit’s notorious Purple Gang. Drive outside the busy city for a visit to U-Pick orchards, premier golf courses and gorgeous rail-trails. Or stay in the city center to experience Slow Roll bicycling with 1,000 fellow riders. Easy Detroit Outdoors promises a new perspective on the Motor City that includes urban gardens repurposed from once abandoned city lots and a sandy beach and ice skating rink in the heart of downtown. 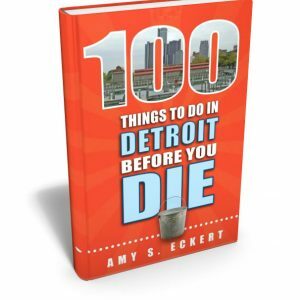 Like its predecessor, 100 Things to Do in Detroit before You Die, this book will help you create—and complete—your very own Detroit-themed bucket list, this time in the great outdoors.